How active: (A) – Active. 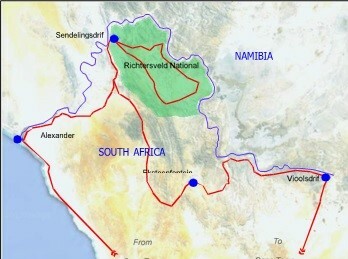 The hauntingly beautiful Richtersveld National Park lies in the great oxbow bend of the mighty Orange River, in the far north-west corner of South Africa. It is a true mountain desert, with contorted rock formations, complex geology, abandoned diamond diggings, sandy river beaches, rough tracks to nowhere and arid plains that stretch as far as the eye can see. Yet, despite its harshness, it is a very fragile ecosystem, prone to over-utilisation but permeated with an all-pervading aura of peace, solitude and tranquillity. In spite of its sparse vegetation the park protects one of the highest concentrations of endemic succulents on earth, many exploding into colour within a few days of rain. 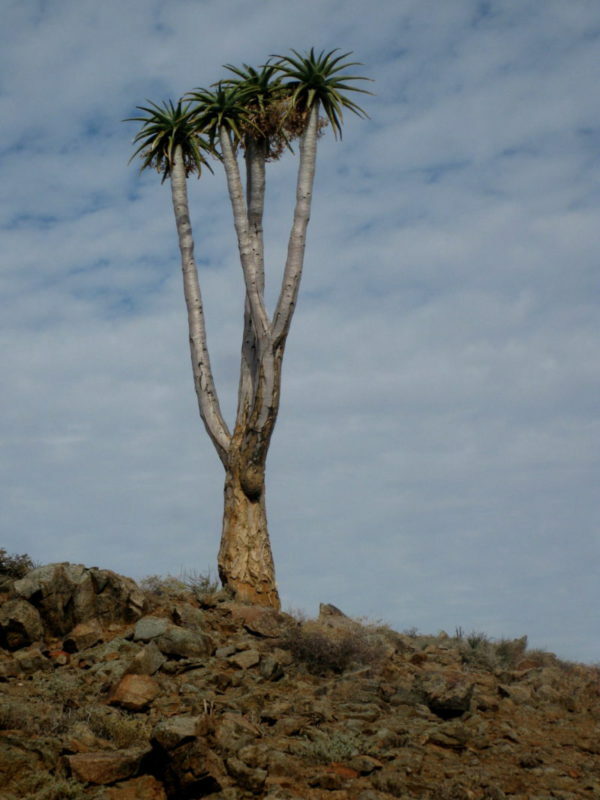 Surreal silhouettes of Half-Mens and giant aloes stand in stark relief against cobalt skies. Although the Richtersveld is very wild territory, the way we have designed the tour means it will suit most of our customers in terms of comfort, walks, etc., while still offering a full experience of this wonderful area. 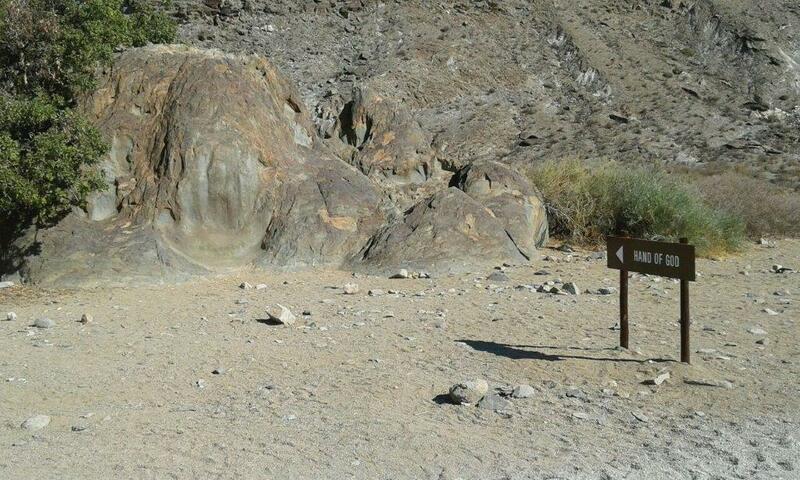 We stay in comfortable National Park chalets in Sendelingsdrift, overlooking the Orange River. This remote village is far from shops and restaurants, but tasty and innovative meals are “magically” produced by our Landscape guide. Teas and lunches are taken al fresco wherever the notion takes us, all the while maintaining a relaxed pace on our journey of discovery. The roads are mere mountain tracks, and we travel in a custom modified, off-road 4×4 vehicle to reach the most remote and spectacular parts. Our day outings involve excursions deep into the mountain desert, where we learn about the fascinating plants that have adapted to survive here, and the wild sequence of geological events that shaped this wilderness. 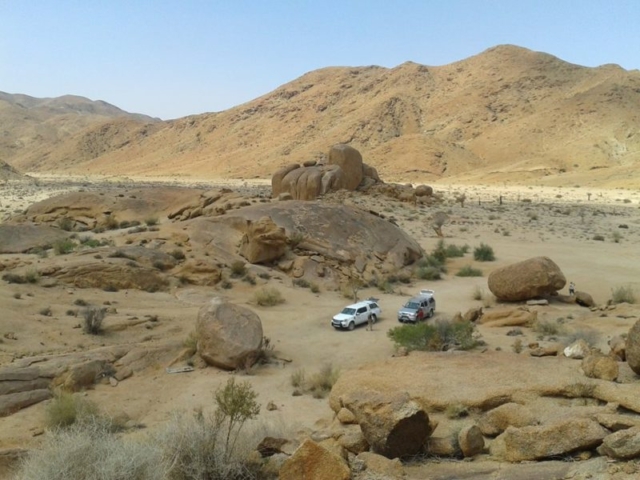 We reach the banks of the Orange River in several places, where it snakes dramatically through this rugged landscape. After every day’s outing you can take a stroll or sit and enjoy the vast silence of this wild and lonely landscape, before meeting up for sundowners and another convivial dinner with the group. How active? 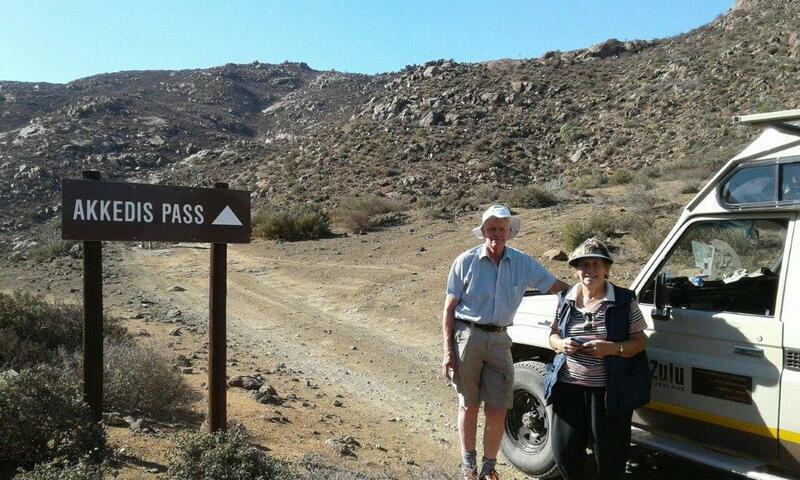 ACTIVE: We visit key points in the veld where your guide will show and discuss interesting features. The walks required to get to these key points are usually fairly short, but often over rough sections, and up or down the occasional fairly steep slope. You need to be able to take this sort of thing in your stride to fully enjoy the tour.